Strike price selection is a critical concept needed to master covered call writing. Selling in-the-money strikes is the most conservative approach to this strategy and selling out-of-the-money strikes is the most bullish. We use the latter when the overall market is bullish and chart technicals are bullish and confirming. Once we have decided that a bullish approach is indicated the next decision is how far out-of-the-money should we go when writing our calls. The 2 strikes that meet our criteria of a 2-4% initial return (ROO) are the $36 (3.7%) and $37 (2.4%) strikes. The $38 strike just misses at 1.6% but can be used at the investor’s discretion. Same holds for the $39 (1%) strike. The maximum returns for the 2 strikes that do meet our initial criteria are 6.1% for the $36 strike and 7.6% for the $37 strike. The ultimate decision rests with the individual investor. For me, I would opt for the $37 strike and be happy with a 2.4%, 5-week return and thrilled with a 7.6% 5-week return. As always, we must follow our exit strategy guidelines once these positions are entered. Deep OTM strikes can be used in a bull market environment with strong chart technicals. The higher the strike selected, the lower the initial return but the higher the maximum return possibility. Strike selection should be based on sound fundamental, technical and common sense principles along with your personal risk tolerance comfort level. Be sure to use this promo code to receive the discount @ checkout. Premium members have received a promo code via direct email. 6:30 PM Registration and 7 PM start. The charge is $15 for pre-registration and $17 at the door. Details are available on the above website. For the week, the S&P 500 rose by 1.3% for a year-to-date return of 22%. I have read your first two books, am almost done with your Encyclopedia, and have started paper trading to get a feel for covered call writing. But one thing has been nagging at the back of my mind: if this strategy is considered great for income generation why have buy-write mutual funds had such mixed success? I would be interested in your thoughts. 1- Generally speaking, 70-80% of all actively managed funds underperform the S&P 500. That’s a staggering statistic and an important reason why retail investors like us must take control of our own financial future. Covered call writing funds are no exception and the last stat I read was only about 20% of them are outperforming the market. That may be why several money managers have been contacting me to help enhance their portfolios. Thus far, I have stayed focused on assisting fellow retail investors through education. 2- These funds are generally closed end funds (CEFs) meaning that cash is raised on a prescribed number of shares via an IPO. After that, no new shares are produced as with an ETF or as we would as our portfolios expanded. 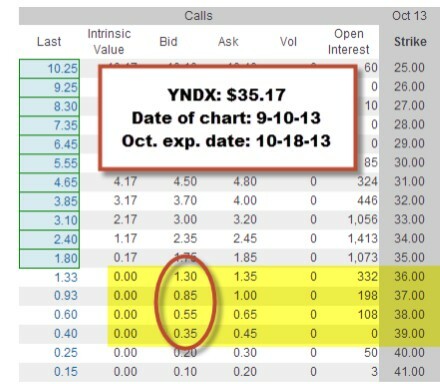 5- Many sell calls on indexes which, if exercised, may have to be delivered to the option holder. 6- Most do not sell calls on their entire holdings and use other strategies (maybe up to 50%) on the remainder of their portfolios. To sum up, it’s better to self-invest after educating ourselves and mastering the strategy. The Weekly Report for 09-20-13 has been uploaded to the Premium Member website and is available for download. Your youtube videos are great. Thank you for sharing your knowledge. I plan to buy your book next. I have a question for you. When you sell a covered call do you have to hold the stock until the call option expires? Can you sell the stock if the price drops too much? Can you use stop losses when you sell covered calls, or do you have to just rely on the downside protection you get from selling the option? 1- Yes, you must hold the stock as long as you still have the option obligation…this is what makes the position “covered” or protected. 2- If the stock price declines in value, the position can absolutely be managed to mitigate losses or enhance gains. I have devoted over 50 pages in my latest book (Encyclopedia…) to this one topic (exit strategies). FIRST, the option is bought back so you no longer have an obligation to sell your shares. Once accomplised you can sell the stock, sell a different option or take no immediate action. All this is detailed in my books/DVDs and must be mastered before you invest one penny of your hard-earned money. 3- Take your time to master the strategy and then you will have years and decades to benefit. You will be amazed at the amount of control this strategy affords us. In searching for a strike or even a stock, why wouldn’t the implied volatility be of use in sorting out best return for the risk? We are on the same page here as far as an option is concerned. In my view, the IV plays no role in stock selection (for our watch list) because I would never write a call on an under-performer given any IV. I am wanting to write a covered call on SLV. But I have a couple of questions. 1. Why are the spreads only .01 cent? 2. Why are there series ending every week of the month? 3. Why are the series of OTM calls separated by only .50 cents $22, $22.50, $23? 1- Highly liquid options tend to have small b-a spreads. Market makers make very little per contract but make up for it with huge volume. 2- Certain securities have weekly options associated with them as opposed to just “monthlys” SLV is one such security. 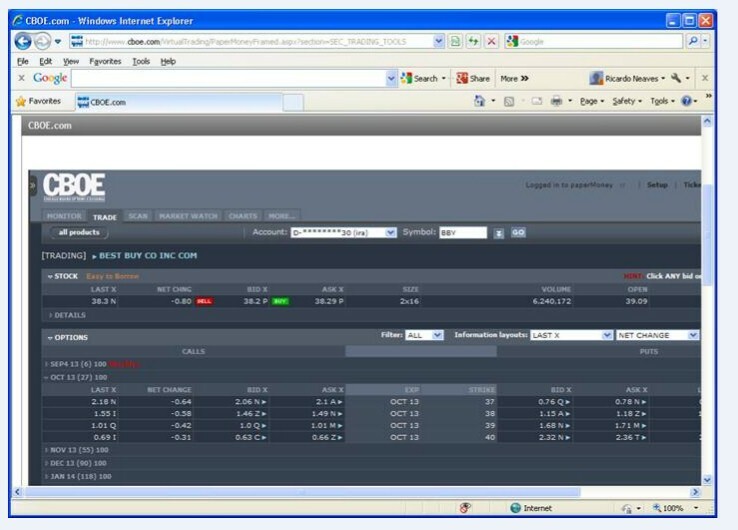 We identify ETFs with weeklys that pass the BCI screens in our Premium ETF Reports. 3- Based on supply and demand and new flexibility that exchanges have certain securities trade in $0.50 increments. SPY is another. 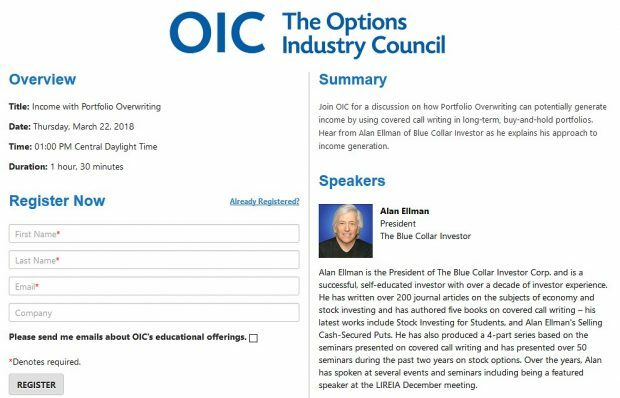 MEMBERS: Click on Ric’s image to enlarge and use the back arrow to return to this blog.